Why would I need self storage in Lombard, IL? There are a variety of reasons why you might need self-storage in Lombard, IL. How much is a storage unit in Lombard, IL? The cheapest storage unit in Lombard, IL is $21.00 per month. What size storage units do you have available in Lombard, IL? In Lombard, IL we have sizes that range from 5'x5' to 12'x30' to suit your storage needs. How much is it for a 5'x5' storage unit in Lombard, IL? The cheapest 5'x5' storage unit in Lombard, IL is $23.00 per month. Lombard is a thriving village in the Chicago metropolitan area, located 5 miles east of Wheaton and 18 miles west of the Chicago city center. The community is perhaps best known for its annual Lilac Festival, a 16-day celebration of lilac-themed events that has been a local tradition since 1930. The region where Lombard now stands was originally part of the Potawatomi Indian lands. European settlers arrived in Lombard in the 1830s, but population growth was modest until the Galena and Chicago Union Railroad passed through the village in 1848. Local farmers and merchants embraced the development, because it helped them easily access buyers in Chicago. The railroad also was a major catalyst for the community's commercial development, as a number of new businesses were quickly developed around the main train station. Lombard was officially incorporated as an American city in 1869, named after Chicago banker and real estate mogul Josiah Lombard. Although the population of Lombard has leveled out in recent decades, it has still continued to grow in small increments. Residents are attracted by the numerous amenities the village has to offer, all within easy access of its residential community. 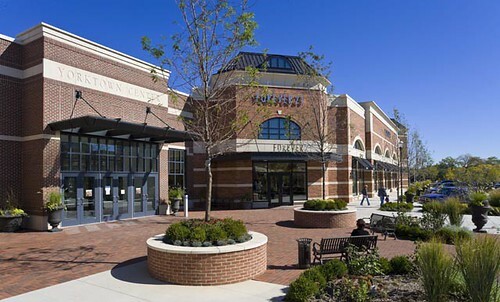 You'll enjoy easy access to local parklands, including Eastview Terrace Park and Lilacia Park, as well as numerous shopping opportunities in Lombard's downtown streets and the local Yorktown Shopping Center. The city is also famous for its many churches and the Lombard Historical Society Museum. The tight-knit community of Lombard is supported by its numerous local events, ranging from the massive Lilac Festival to small, neighborhood block parties. Holiday celebrations like the Jingle Bell Jubilee and Spooktacular are popular in the village, as are the community's summer concerts and Cruise Nights. A significant percentage of Lombard locals are employed in white-collar positions, including roles in sales, office work, administrative support and management. This is due in part to Lombard's highly educated population, with nearly half of adults holding at least a bachelor's degree. There are also a number of local businesses, including grocery stores, restaurants and small shops that offer jobs in the area. Several public school districts make up Lombard's school system. The bulk of Lombard's schools fall under Lombard School District 44, while other major districts include District 45 DuPage County and Bloomington School District 87. Private schools in the area offer both parochial and college prep campus options. Utilities: Commonwealth Edison is the village's primary electricity provider, though you do have the option to choose another company if you would prefer. The village manages residential water, which is received via the DuPage Water Commission. Garbage and Recycling: Waste Management provides curbside collection of trash, recyclables and yard waste. You have the option to pay for a larger disposal can or simply use disposal stickers. Transportation: The main form of public transportation is the Pace Bus system. The Pace Bus offers many connections to the Metra rail line as well, so you can easily access all parts of the Chicago metropolitan area. Pets: All dogs must be licensed with the village, which requires an up-to-date rabies vaccination. Licenses must be renewed annually. Water Restrictions: If your home has a sprinkler system, the village does place certain restrictions on its use to conserve water. Even-numbered houses can use their sprinklers on even-numbered days, while odd-numbered houses are limited to odd-numbered days. Lombard's leafy suburban streets feature a variety of single-family homes that are popular with both families and retirees. If you prefer a more modern dwelling, look to the well-maintained condominiums located close to the restaurants, shops and public transport options of downtown Lombard. Our lowest priced units in Lombard, IL average $36.00 per month. 212 people have reserved units in Lombard, IL in the past 30 days. There are 6 locations within Lombard, IL's city limits. There are 2 locations in Lombard, IL that offer AC and Heating features.